This book covers kernel analysis topics ranging from the fundamental theory of kernel functions to its applications. The book surveys the current status, popular trends, and developments in kernel analysis studies. The author discusses multiple kernel learning algorithms and how to choose the appropriate kernels during the learning phase. Data-Variant Kernel Analysis is a new pattern analysis framework for different types of data configurations. The chapters include data formations of offline, distributed, online, cloud, and longitudinal data, used for kernel analysis to classify and predict future state. 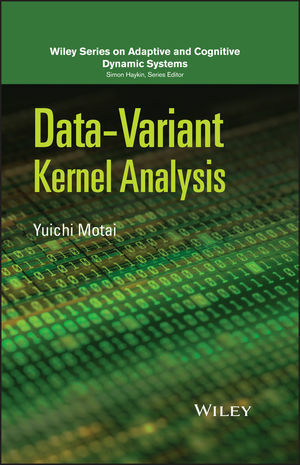 Data-Variant Kernel Analysis is a detailed reference for graduate students as well as electrical and computer engineers interested in pattern analysis and its application in colon cancer detection. YUICHI MOTAI, Ph.D., is an Associate Professor of Electrical and Computer Engineering at the Virginia Commonwealth University, Richmond, Virginia. He received his Ph.D. with the Robot Vision Laboratory in the School of Electrical and Computer Engineering, Purdue University, West Lafayette, Indiana in 2002.